It’s owned by Russian entrepreneur and Instagram model Daria Radionova, who had the pimped-up supercar commissioned by London-based auto body shop . The sparkly supercar was recently presented at a supercar parade in London, where it attracted a huge crowd of surprised onlookers and held up traffic. 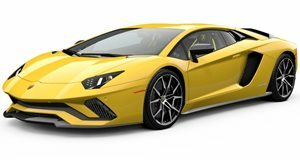 Cars and Cloaks won’t say how much Radionova paid to give her latest supercar the Swarovski treatment, but the Lamborghini Aventador SV started at $493,069 when it went on sale. This isn’t the first time the Instagram model has turned a supercar into a piece of automotive jewelry, either. Before the Aventador SV, she had her and .